Welcome to Paradise Drinking Water, the best spring, purified, and alkalized drinking water delivery service for the lowest prices in Whittier. We provide the highest quality, best tasting drinking water available, with the added benefit of affordable, convenient delivery right to your Whittier home or office. All the drinking water we offer is under 5 parts per million total dissolved solids, which translates into almost 100% pure H2O! H2O is our most important nutrient, which is not surprising considering it constitutes 70% of the human body. At Paradise Drinking Water, we believe that such an essential element of our lives should be available in the purest quality with the greatest convenience and affordability, and this is what we offer our Whittier water delivery customers. We offer complete water delivery services to Whittier, the greater Orange County area and most of L.A. County. Our professional delivery people are courteous, punctual, and available at all times during business hours by cell phone. All of our employees, both on site and in the field, are passionate about the taste and quality of our drinking water and are ready to serve our Whittier bottled water customers. 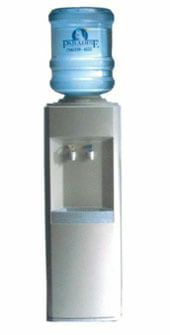 And we offer more than bottled water delivery; see our selection of water dispensers available for rent, including new Watersafe coolers. Together with Watersafe bottles, Watersafe coolers are the improved, sanitary water dispensing system that keeps your water at its cleanest. Feel free to browse the rest of our site for more information on our delivery services, water products and affordable pricing. And don't hesitate to call us with any questions you have—we're happy to serve our Whittier water delivery customers. 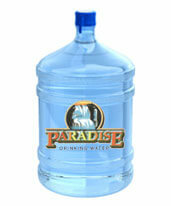 Paradise Drinking Water has earned many accolades, both for the superior quality of our bottled drinking water and our excellence in customer care. Listed below are some more great reasons to sign up with Paradise Drinking Water today to receive the best bottled water and delivery service serving Whittier. We use the most advanced bottling and purifying equipment in the industry. Even though it's more expensive, we use stainless steel construction at our facility because it makes a big difference in the quality of our bottled drinking water. Even so, our prices remain the most competitive in Whittier and beyond. 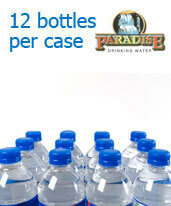 We provide volume discounts to all our high-usage Whittier bottled water delivery customers. All our courteous, professional, Whittier water delivery drivers are available by cell phone during business hours, so you can reach them whenever you need to with any changes, questions or concerns. Here's the best part: we give all new Whittier residential water delivery customers THREE FREE BOTTLES to start service, and we give all new Whittier business water delivery customers FOUR FREE BOTTLES + the first FOUR WEEKS COOLER RENTAL at NO CHARGE! Current Whittier water delivery customers who refer new customers get two free bottles as a thank you for their referral. This superior quality, great tasting bottled spring water is ready for delivery directly to your Whittier home or office. By federal law, bottled spring water must be entirely from the source and cannot be altered, and we adhere strictly to these standards. We are fully licensed and regulated by both the state of California and the FDA. At Paradise Drinking Water, we are committed to bringing the fresh taste of mountain spring water to our Whittier bottled water delivery customers at affordable prices. We offer our new Whittier bottled spring water delivery customers free spring water so you can try before you buy. We give new Whittier residential customers three free bottles, and new Whittier business customers four free bottles plus the first four weeks' cooler rental free! 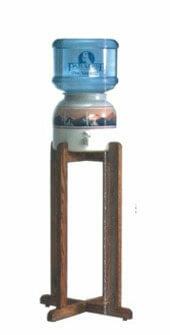 This amazing purified water is available for delivery right to your Whittier home or office. 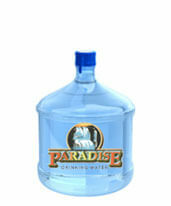 You won't pay more for outstanding quality with Paradise Drinking Water. 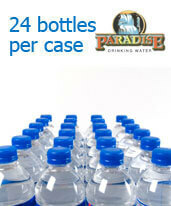 We offer the lowest prices for bottled purified water delivery service to Whittier. And we give our new Whittier bottled purified water delivery customers free purified water to start. New Whittier residential customers receive three free bottles, and new Whittier business customers receive four free bottles plus four weeks' cooler rental free! 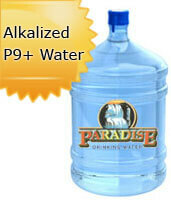 Our Alkalized P9+ water starts out as purified water. Then electrons are added to the water in order to alkalize it. This makes the water a strong antioxidant that hydrates your body on a cellular level. Alkalized P9+ water changes the state of your body from acidic to alkaline, converts free radicals into antioxidants, purifies toxic cellular environments and truly hydrates you. You might think such advanced technology with such incredible health benefits would cost a fortune, but at Paradise Drinking Water we deliver alkalized bottled drinking water right to your Whittier home or office for affordable prices comparable to the cost of our other bottled water. If you've never tried Alkalized P9+ water before, take advantage of our introductory offer of free alkalized bottled water for new Whittier customers. New Whittier residential customers receive three free bottles of water, and new Whittier business customers receive four free bottles plus four weeks' cooler rental free!